A company co-founded by Elon Musk got off to a great start Monday. Tesla? (TSLA) No. Although the electric carmaker's stock was up nearly 3%. We're talking about PayPal (PYPLV) -- the online payment service that was spun off from eBay (EBAY) on Monday. PayPal shares rose 5% on their first day of trading as a separate company. It is now worth nearly $50 billion. The old eBay was up about 2.5%. Its market value is $35 billion without PayPal. Musk was one of several co-founders of what is now known as PayPal. His online banking site X.com merged with PayPal creator Confinity in 2000. The combined company was later renamed PayPal, went public in 2002 and was bought by eBay for $1.5 billion shortly after the IPO. Musk made about $165 million from the sale. He is no longer involved with PayPal. But PayPal has done just fine while Musk has been focusing on electric cars and his SpaceX rocket company. eBay reported last week that sales from PayPal were up 16% in the quarter, while revenues at eBay's core marketplace unit fell 3%. PayPal is also expecting revenue growth of 15% to 18% this year -- compared to just 3% to 5% for what's left of eBay. That was the last report with PayPal as a subsidiary. Several Wall Street analysts started coverage of PayPal with favorable ratings Monday. PayPal returns to Wall Street. 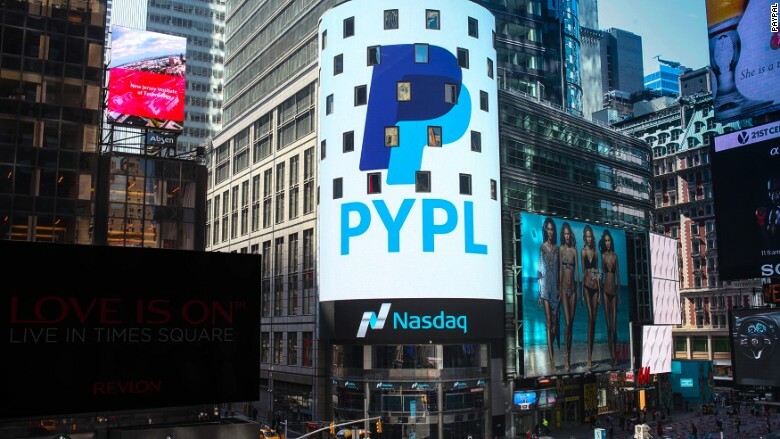 It traded as PYPL briefly in 2002 -- before eBay bought it for $1.5 billion. But PayPal faces threats from larger tech companies though. Amazon (AMZN), Apple (AAPL) and Google (GOOGL) are all trying to make waves in the digital payments business. 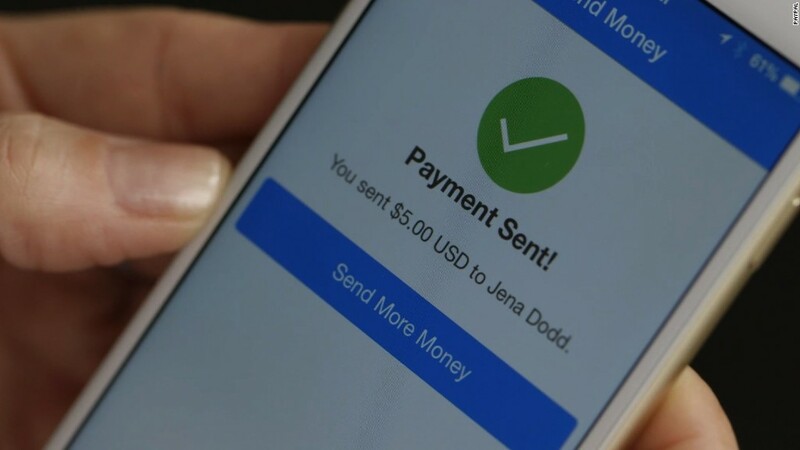 PayPal CEO Dan Schulman said in an interview with CNNI's Maggie Lake Monday morning that competition is growing. But he thinks PayPal stands out because it truly is an independent middleman. Unlike Amazon, Apple or Google, it's not part of some larger entity. "Probably the biggest advantage we have is we're truly a neutral third party," Schulman said. "We can work with any merchant, any platforms -- whether that be iOS, Android or Windows -- and provide a seamless, consistent experience for consumers and merchants." Schulman added that he thinks PayPal stands to benefit as more and more consumers use their mobile phones to pay for things in actual stores -- in addition to using the PayPal online site or app for mobile purchases. "Last year, we did over 1 billion mobile payment transactions," he said. Still, there's also a hot private startup called Stripe that PayPal and its investors will have to watch closely. Stripe is backed by PayPal co-founders Max Levchin and Peter Thiel -- as well as Musk. So it's telling that Musk and these other PayPal veterans are investing in something that competes against the company they started.